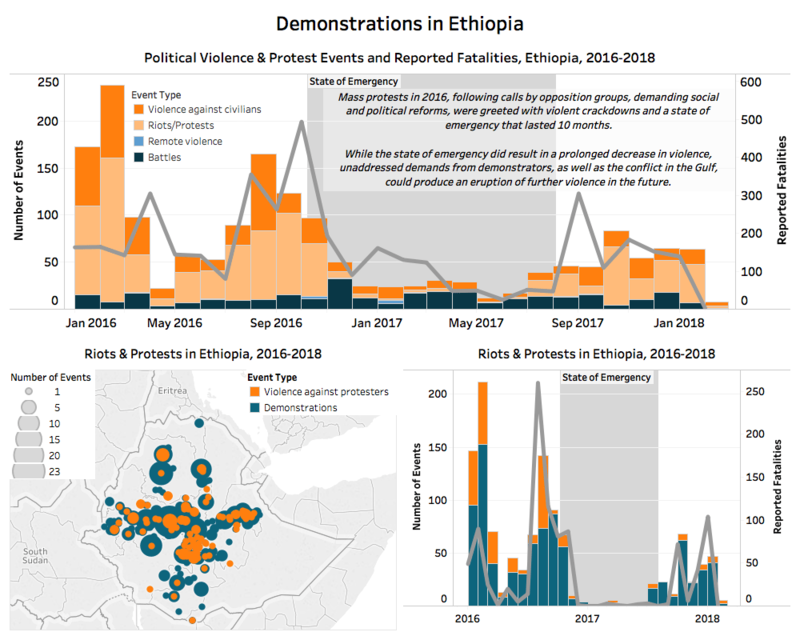 In this series of infographics, ACLED’s Research Director, Dr. Roudabeh Kishi, explores 10 hidden or under-reported conflicts across Africa. 10. 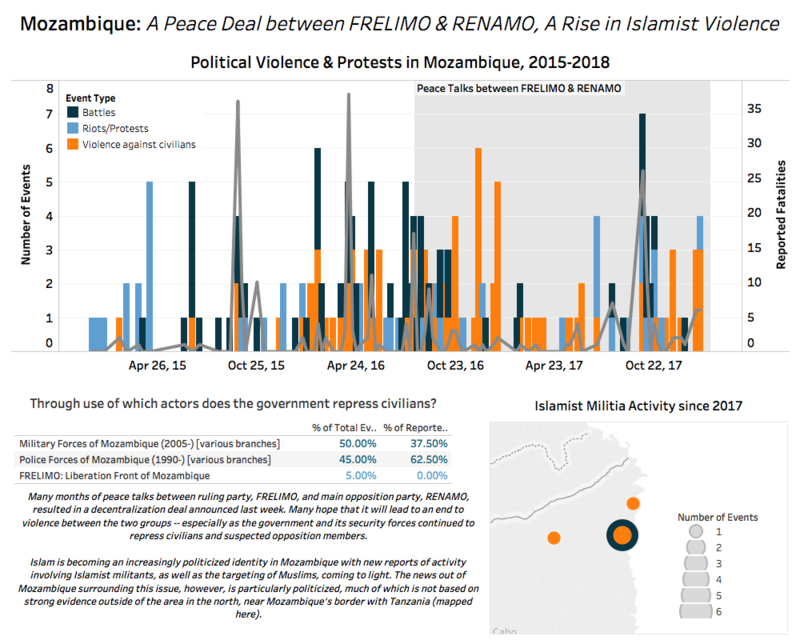 Mozambique: A Peace Deal between FRELIMO & RENAMO, A Rise in Islamist Violence. 9. 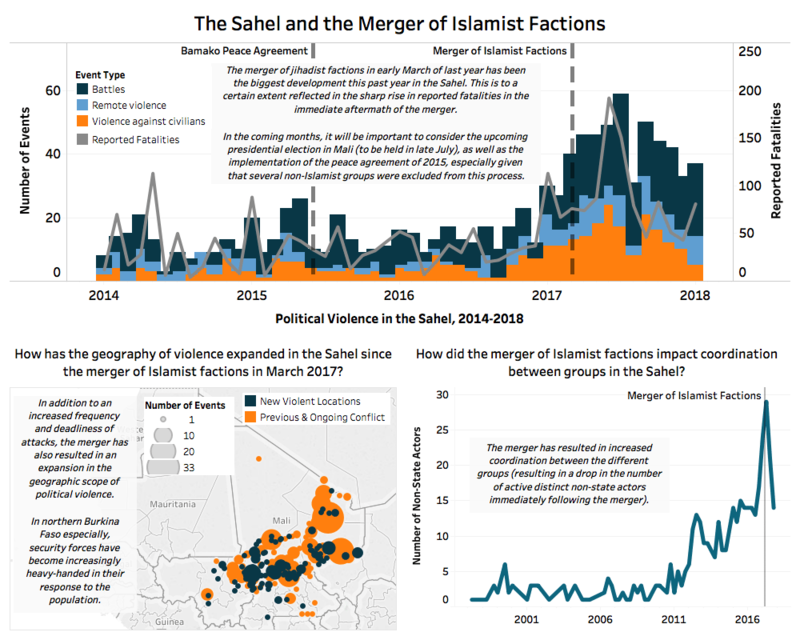 The Sahel and the Merger of Islamist Factions. 8. 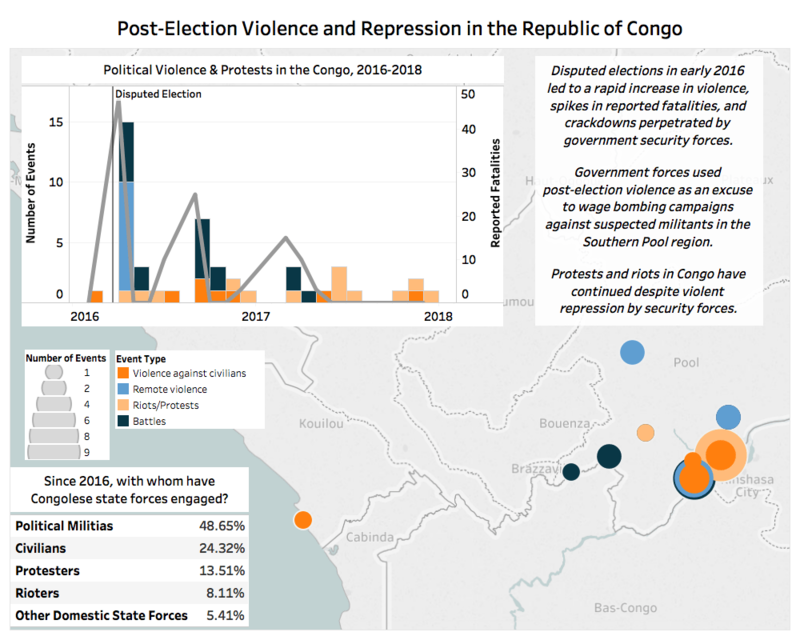 Post-election violence and repression in the Republic of Congo. 7. 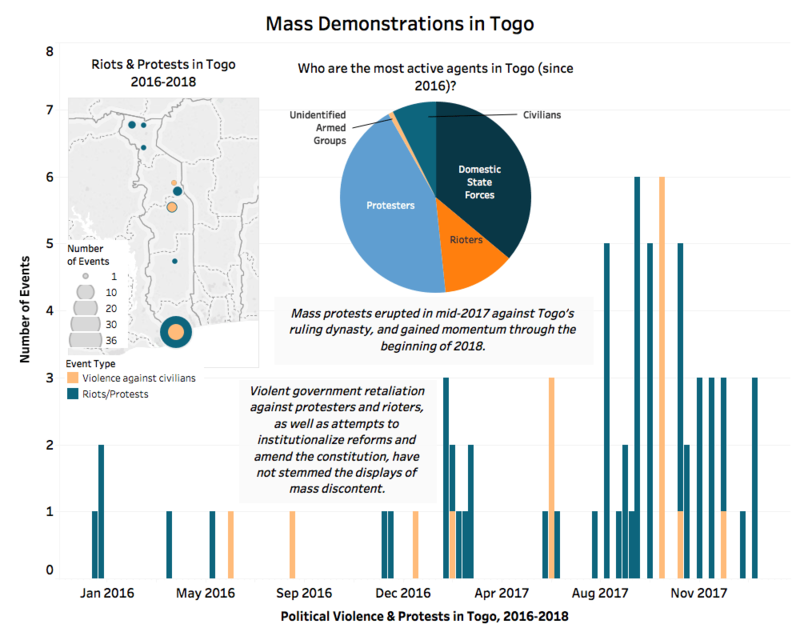 Mass demonstrations in Togo. 6. 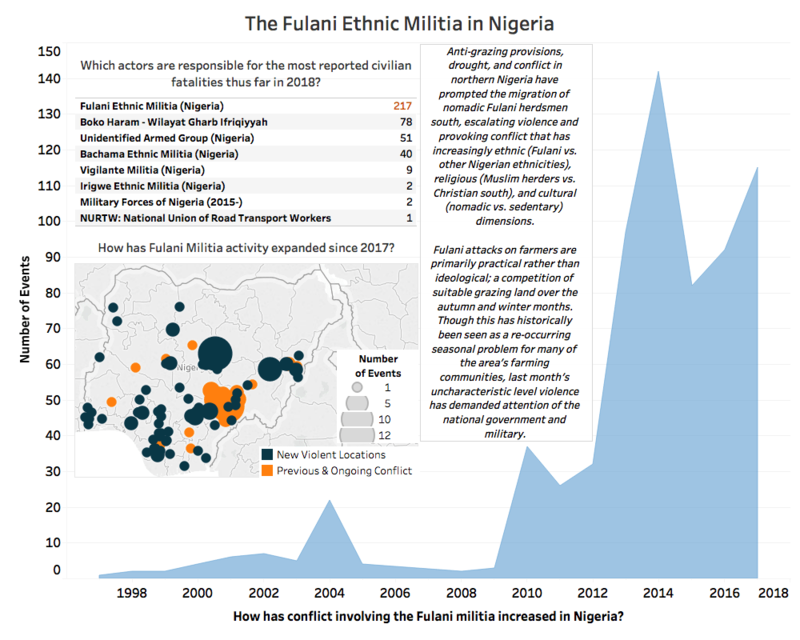 The Fulani ethnic militia in Nigeria. 4. 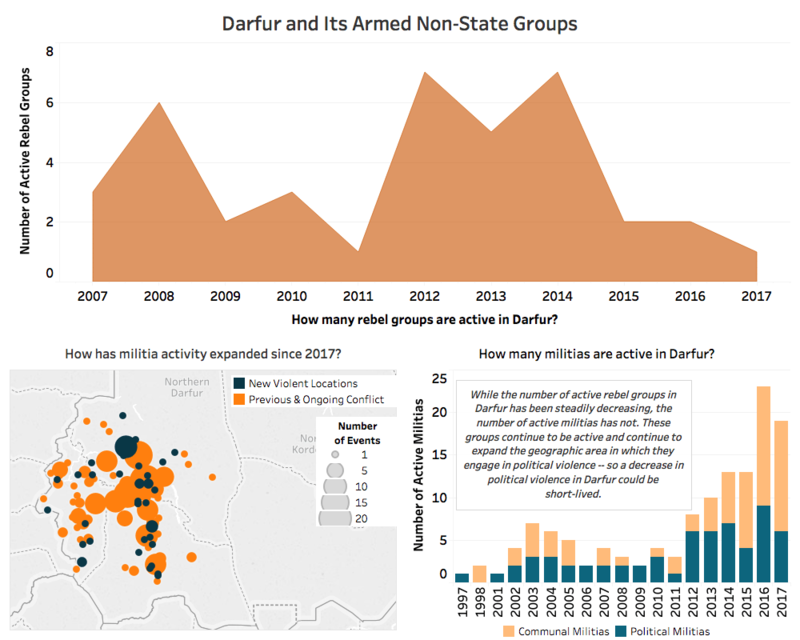 Darfur and its armed non-state groups. 3. 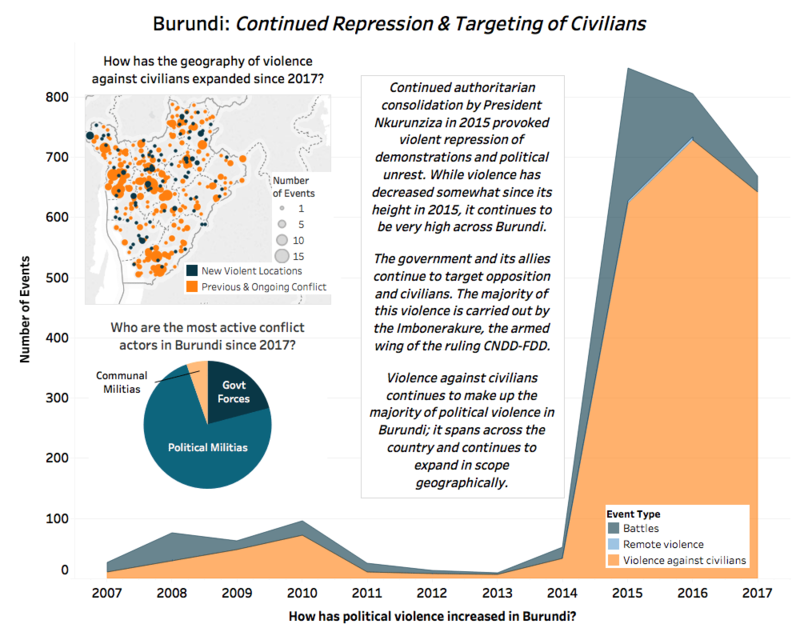 Burundi: Continued Repression & Targeting of Civilians. 2. 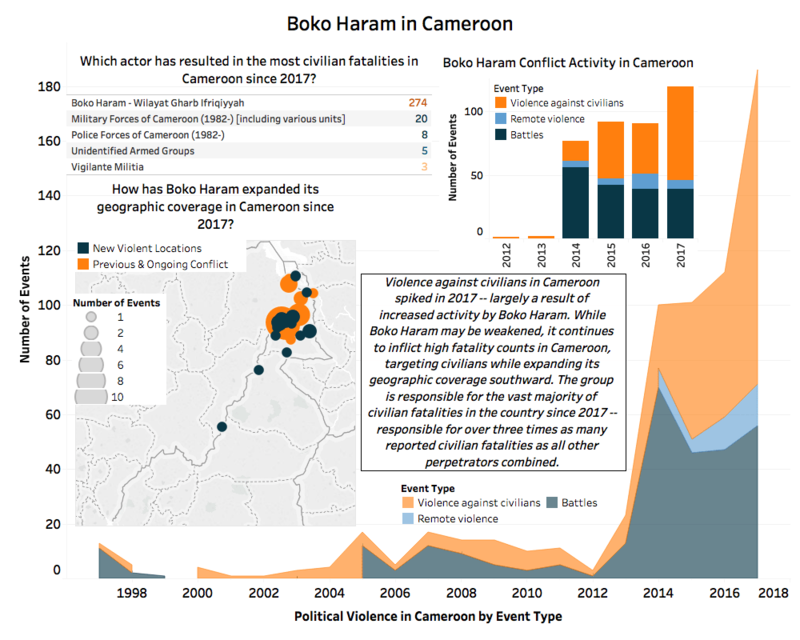 Boko Haram in Cameroon. 1. 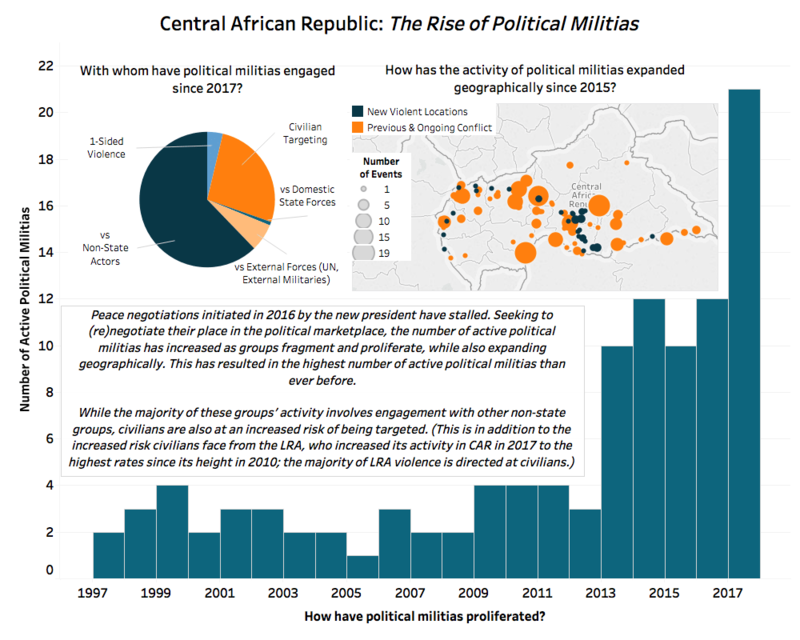 The rise of political militias in the Central African Republic.